Deartháireacha Fanzini ag teacht go Carn Tóchair!! 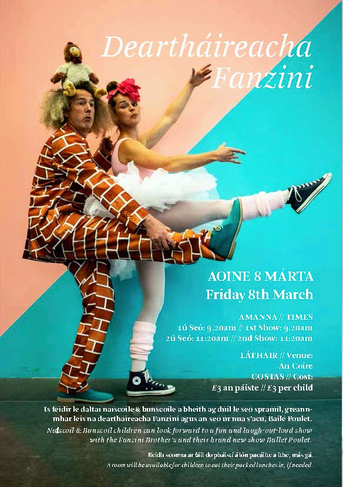 Fanzini Brothers coming to Carntogher All R1, R2, R3, R4, agus R5 pupils will have the opportunity to attend this event in An Coire as part of Seachtain na Gaeilge. Cost £3 per pupil.